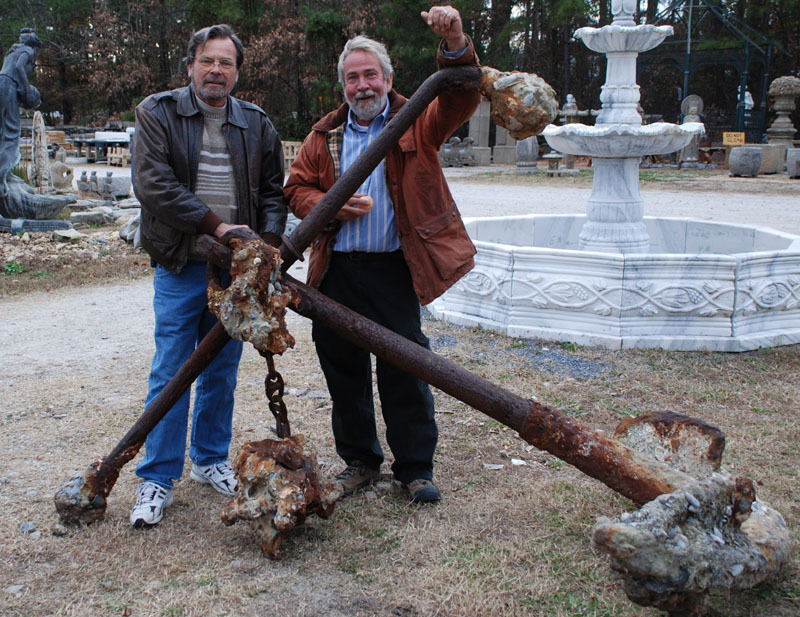 We just got in a large boat anchor that we believe was from a 300 foot oyster boat that went down in a storm off of Cape Hatteras in 1878. There are fragments of the original wood from the hull still attached with lots of oyster shells and barnacles. A really neat old piece of nostalgia! I am looking for an old anchor to donate to a local boat club in Knoxville, TN. Do you have a price set?